The federal Workforce Investment Act (WIOA) of 2015 provides the framework for Ohio Means Jobs employment resources. Ohio Means Jobs Hancock County works with its partner agencies to enhance workforce preparation and grow area employment levels. This free service system is designed to be customer-focused, and to supply the region’s residents the tools they need to manage their careers. In addition, the system helps area employers locate employment, training, and information services necessary to remain competitive in today's labor market. Each county’s Workforce Policy Board was established to advise and assist in planning, coordination, and monitoring of the Workforce Investment Act programs and services. The board’s focus is meeting the needs of the business community. Board Members are appointed by each county’s Board of Commissioners and represent all facets of workforce development in the region including business, labor, education, government, youth activities and consumers. The Workforce Policy Board also provides oversight for Ohio Means Jobs Hancock County, which provides a central point of access for employment, training, and related services provided by many area agencies and service providers. These agencies and service providers formed a collaborative partnership that allows job seekers and employers to access many services at one central location. As a result, this One-Stop service delivery system not only saves time and effort for area consumers, but also provides them with additional resources that may not otherwise be available. 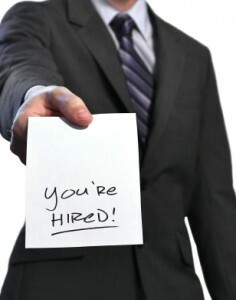 Do you need help preparing for future employment?